Mazarin managed to sign the Treaty of Paris which validates the future Peace of the Pyrenees, and therefore the marriage of Louis XIV with the Infanta of Spain in 1660. In the context of these celebrations, the French ambassador in Venice commissions a mass from Cavalli, the greatest composer of his time. He thus composed this sumptuous Missa, performed in January 1660 in the Basilica of San Giovanni e Paulo and brought together the best voices and most famous musicians around viols, violins, cornets and trumpets in a spatialisation in the Venetian manner. 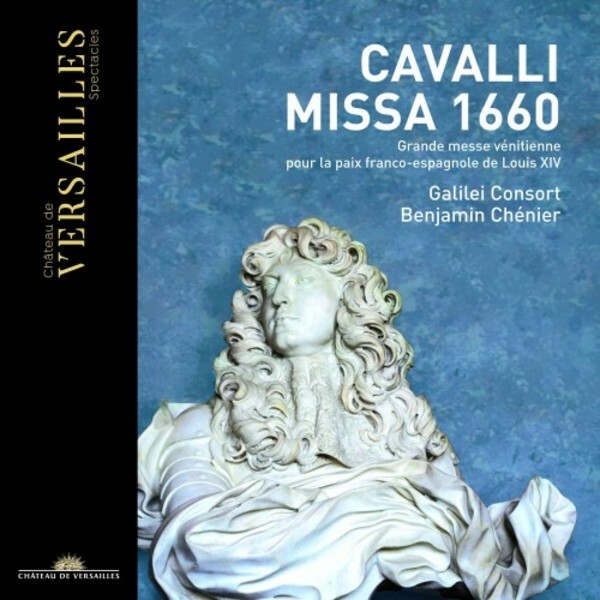 In this recording, Benjamin Ch�nier takes on this chef d'oeuvre which celebrates France and Louis XIV with brilliant soloists and a strategy of spatialisation in the Royal Chapel which recreates the splendid sound of 1660.